As promised in my previous sweet potato entry - a simple and delicious dessert from The Health Promoting Cookbook . 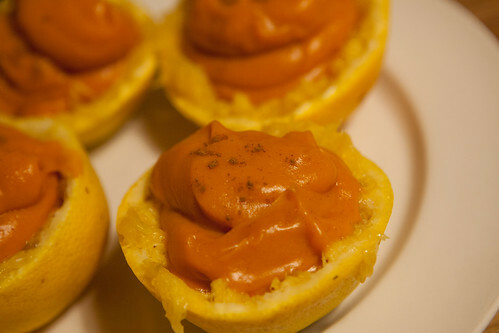 Baked yams blended with orange juice and spices. Perfectly sweet, absolutely no sugar or other added sweeteners needed. I recommend using garnet yams, with the deep orange flesh, for this recipe. I had some of this pudding warm, and some cold the next day. By then it had set into a firm custard and was even more delicious. Highly recommended.